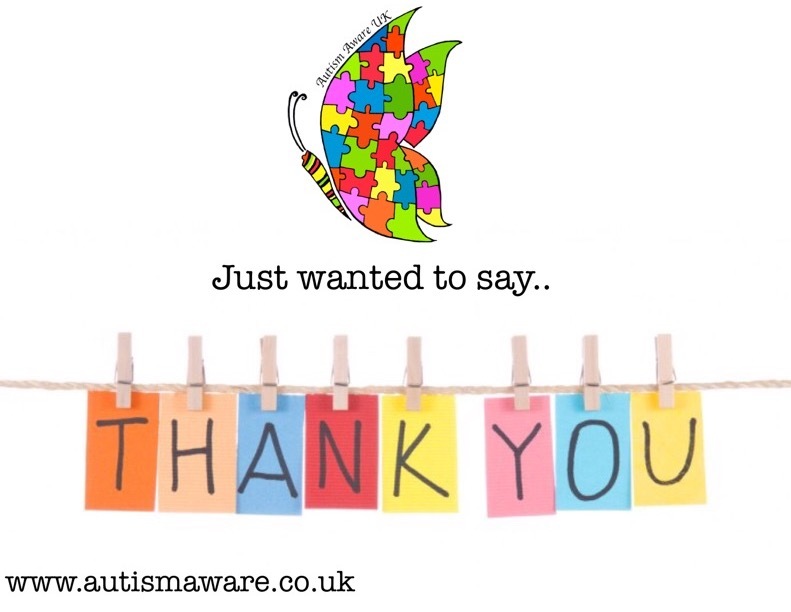 Since starting Autism Aware UK in february 2012 we have had an overwhelming response from friends, family facebook and twitter followers offering to help. We really do appreciate all the support we’ve had and every penny raised makes a huge difference! Thank you to all of you who have been involved so far.